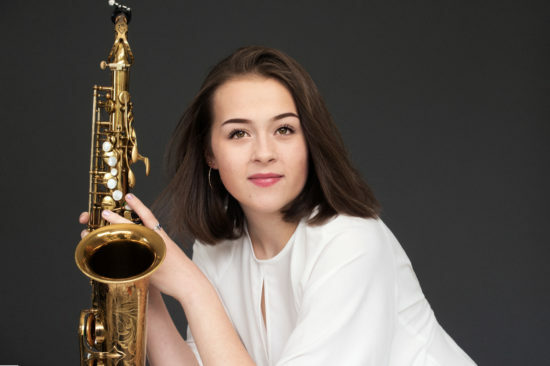 Katie Webster, an 18-year-old saxophonist from Seattle, has been named the 22nd recipient of the Jimmy Lyons Scholarship to Berklee College of Music. She will receive a four-year, full-tuition award presented in conjunction with the Monterey Jazz Festival. Webster is the first female recipient of the Lyons Award. She will begin her studies in Boston this September. Previous recipients of the scholarship include Billy Buss, Rushad Eggleston, Milton Fletcher, Jonathan Pinson, Dayna Stephens, and James Williams. Webster was awarded Outstanding Alto Saxophone by Wynton Marsalis and a panel of judges at Jazz at Lincoln Center’s Essentially Ellington 2018 competition. At the 2018 Monterey Next Generation Jazz Festival, in addition to receiving the Outstanding Soloist award, she was awarded a scholarship to the Berklee Five-Week Summer Performance Program. Other soloist honors for Webster include the Reno Jazz Festival (2016) and the University of Washington Jazz Festival (2018). Webster will perform at the Monterey Jazz Festival this year in a group with Berklee-educated keyboardist Anastassiya Petrova. For more information, visit montereyjazzfestival.org.